Science and leadership forums, Citizenship Awards, Rotary Youth Exchange and other youth programs are a core part of our club because youth are fun to work with, full of enthusiasm and hope and because they are the future of the world. The School Link Program provides a coordinated mechanism to establish ongoing mutually beneficial links between Rotary Clubs and Secondary Schools to foster participation in Rotary Youth Service projects. The Rotary Club of Subiaco has been linked with Perth Modern School for many years. Perth Mod has an established Interact club, participates in the Rotary 4-way speaking competition and sends students to RYSF (see below) and RYPEN. Two prior Principals of Perth Modern School were also members of the Rotary Club of Subiaco [Mr Joseph Stokes (1972 - 1979) and Dr Robyn White (2000 - 2010)]. Rotaract is a Rotary-sponsored service club for young adults ages 18 to 30. Rotaract Clubs are usually community based and are sponsored by local Rotary Clubs making them true “partners in service” and key members of the Rotary family. The Rotary Club of Subiaco jointly sponsors the Rotaract Club of Subiaco. Through the Rotaract program, Rotaractors expand their knowledge and skills and address the physical and social needs of their communities, while promoting international understanding and peace through a framework of friendship and service. Rotaract is friendship in action. RYPEN is an annual residential week-long program that aims to develop positive attitudes, self-awareness and leadership skills amongst Year 10 students. The Rotary Club of Subiaco generally sponsors two Year 10 students from Perth Modern School to attend this program. These students are seen to have leadership potential as well as positive personal attributes and demonstrate involvement in community programs. Applications for this program close in early April and the residential program takes place in early May of each year. The Rotary Youth Leadership awards (RYLA) offer men and women between the ages of 18 and 25 years an opportunity to attend a residential seminar designed to develop their leadership skills. Activities such as abseiling, rock climbing, hiking and camping out, presentation skills, conflict resolution, yoga and discussions on social issues are just part of the week long program. The Rotary Club of Subiaco generally sponsors at least one participant in this program each year. Potential applicants should contact the Rotary Club of Subiaco in September ahead of the program running in late January/early February of each year. Interact is a service and social club for young people in their teenage years (to 18). The Rotary Club of Subiaco sponsors the Interact Club of Subiaco that is located at Perth Modern School. The Interact Club of Subiaco is self-governing and self-supporting, offering many opportunities for members to develop valuable leadership and teamwork skills as they focus on service in the wider community. Young people interested in joining the Interact Club of Subiaco should contact their President through Perth Modern School. NYSF is a two week residential program in Canberra or Brisbane that aims to open up possibilities of a career in science or engineering for students about to enter Year 12. A series of seminars, debates, workshops and visits to various science, engineering and technology organisations enables science students to gain first-hand experience in the working world of science. Rotary provides essential support by interviewing, selecting and part-sponsoring applicants. Information is sent to Rotary Clubs and Secondary Schools between February and March.Year 11 students submit applications to clubs by the end of May and district selection takes place in July so that orientation for successful students will take place in September. The 4-Way Test is a public speaking competition for Year 10 students. 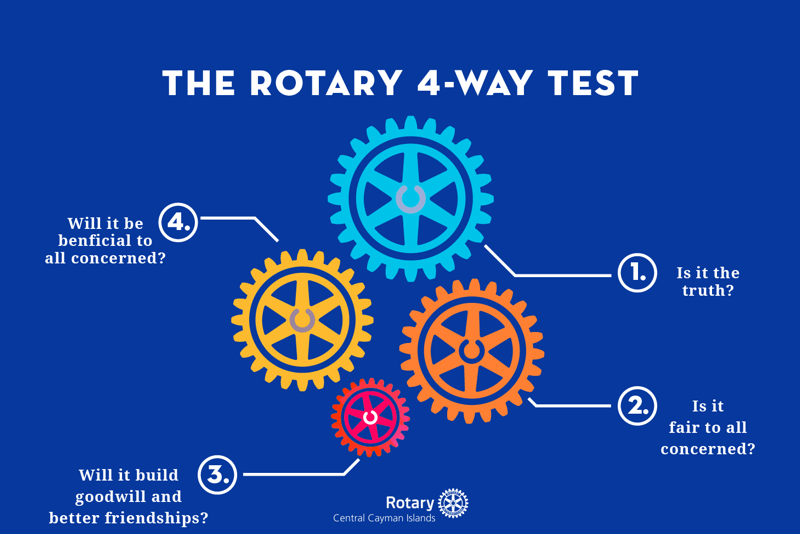 Students can choose any topic, but must address and refer to the Rotary Four Way Test in their speech and focus on the four elements. Teachers and students from each club’s link school participate as they develop their public speaking and writing skills. 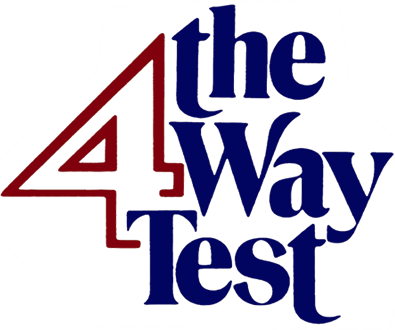 Discussions of ethics are encouraged as participants approach their topic through the multiple lenses of the 4-way test. Year 10 students interested in participating in this activity should contact their local Club in September of each year – with heats and finals progressing late in the year and the State final in the first half of Year 11.